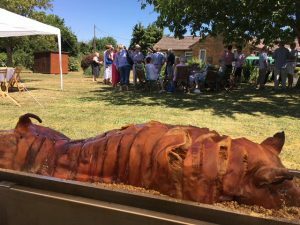 Here at hog roast Acton we think that hosting a celebration, family party or other social event should always be fun. However, we also know that it can be stressful to organise these events especially when it comes to the food. Organising everything takes time, and a lot of effort, there are just so many things to think of and things can easily be missed. Fortunately, there is a simple answer to this issue. Just hire us and let us take the weight off your shoulders. Our top chefs will cook all of the food you want to perfection. They will arrive at your party or event location, set everything up, cook the food, and present it nicely to your guests. If you want, we can provide waiting staff, so that your guests can be served at tables. 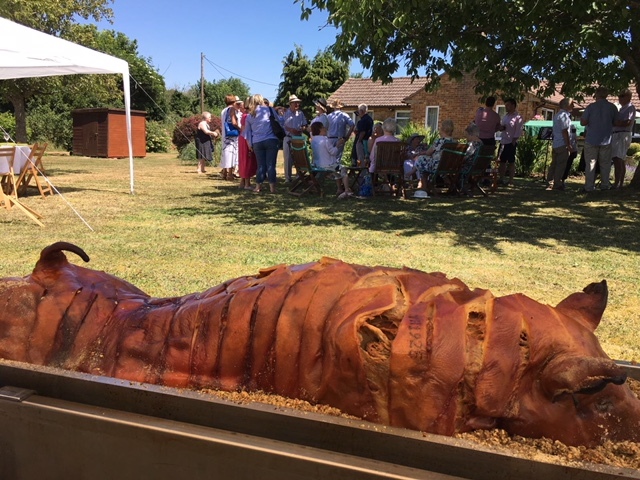 Almost regardless of the type of event, you are holding a hog roast is a great option. It looks wonderful, smells even better and is delicious as well as making it possible to feed a lot of people even on a tight budget. However, we recognise the fact that you may want to give your event attendees more choice, which is why we also offer a range of other foods. As well as other roasted meats, you can have our professional chefs prepare you platters of canapés, cold cuts, Chinese and Indian finger foods and many other types of food. Our menu pages show you the dozens of different dishes we can potentially prepare for you and your party or event guests. Whether you are looking for help with corporate hospitality or food for a family occasion, we can help. To get a full quote all you need to do is to fill in the enquiry form or ring us on our free number.